Editor’s note: Thanks to Robert Kendall for the photos and Medford Judo Academy for sharing the mat. 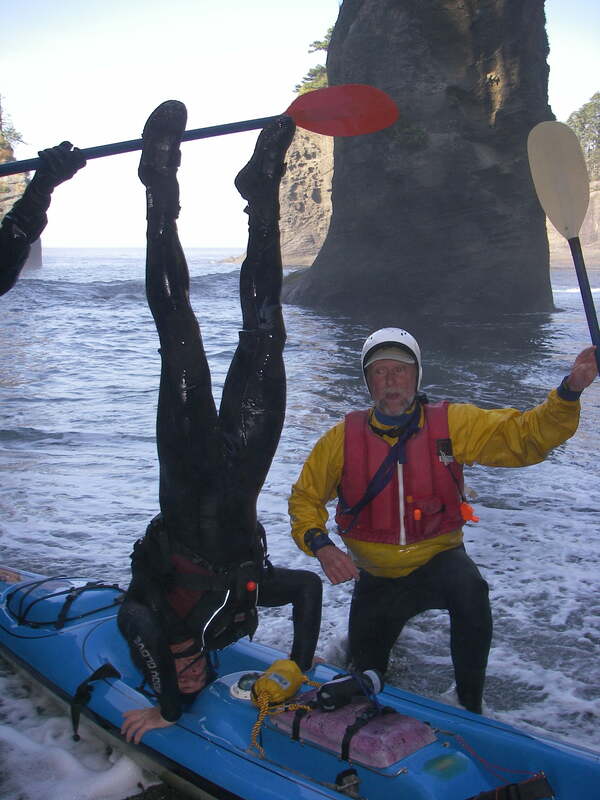 TR Dandy Don Kiesling demonstrates extreme core stability on retreat at Cape Flattery. TR Mark Hutson cheers him on. 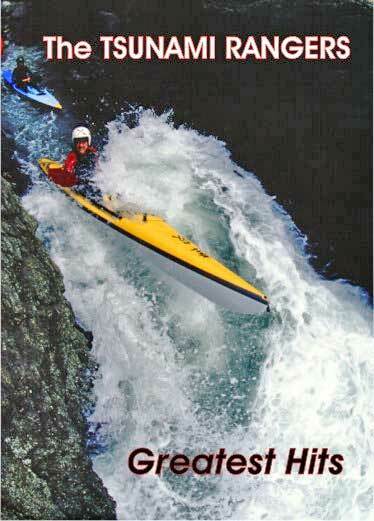 Core stability is crucial to kayaking. We use our core muscles to stay upright in the boat, to flex forward when surfing, to keep our backs pain-free during extended time in the cockpit, and perhaps most importantly, to stabilize. While hardly rocket science, training for core strength and stability is still somewhat misunderstood. We hear a lot about core fitness but what do you really know about your core? Abdominal muscles are actually superficial to the deep core muscles and while they are certainly crucial to keeping us upright they really don’t constitute the core per se. Core is deeper. In fact, core muscles include those of the pelvic floor (all you women out there think Kegels) as well as the adductors or inner thigh muscles. Forget crunches – they target the superficial ab muscles and when done conventionally, as in the bent-knee sit up, can actually use the big hip flexor muscles of the thigh to a greater extent than the abs. Planking is one of the best ways to activate core muscles for strength and stability. Above is a forearm plank. You can also do conventional planks in a push-up position, or side lying planks as illustrated below. Place your top foot in front of you on the floor for better support. A great way to develop core strength is to use stability balls. You can use them for planking by placing your knees on the ball and then rolling out to take a push up position. As you get stronger, you can roll out farther and farther until only your feet are on the ball. You can also do a pike from a plank by engaging your core muscles to pull the ball toward your hands (see the second photo in this post). This movement can only be accomplished by using the core – hip flexors will not engage. You can work from one to ten pikes, rolling out till you are in push up position and then piking till your body is vertical. Planking on a stability ball. There is also the reverse plank shown below. Planking will not only strengthen the core but will strengthen the arms and chest as well. Planks should be held for around five to seven breaths. Rest and repeat. Three to five repetitions should do it. And yeah, a headstand works too. We hope you find these exercises helpful. Please share your favorite core strengtheners by clicking below! 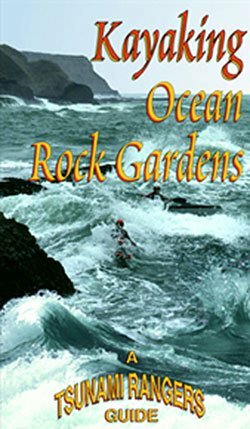 Thanks for the link, Dandy Don! 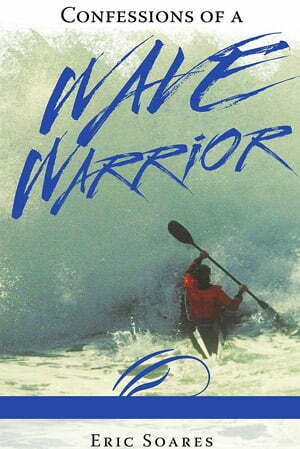 I know you’re a big fan of core training and it shows in your stellar performance on the water. Glad to hear from you and thanks again for sharing the stability ball info. Cheers!